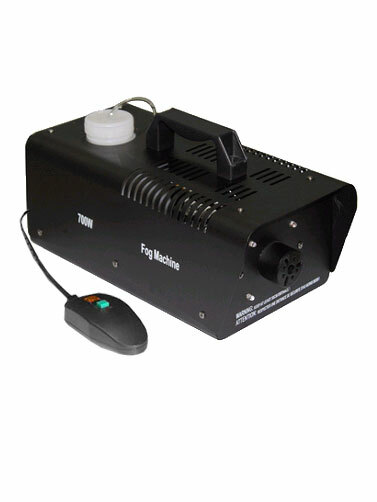 Add special effects, fun and excitement to your party with this 700 watt fog machine. Heats up in minutes and produces 2000 cubic feet of thick fog. 120v, 60Hz. 1 liter tank. Includes remote. Fog juice sold separately. 700 Watt Fog Machine measures approx 14"L x 7"W x 7"H.